The Montera becomes a collection. Roberto Lazzeroni revisits the distinctive traits of the chair and instils them in the armchair and stool. The seat of the armchair is more relaxed, the backrest is lowered almost imperceptibly, whilst the two characteristic side wings are widened and lengthened to form enveloping armrests. The raised legs of the stool stand out for their cross-like structure and the gunmetal grey metal footrest at the front. 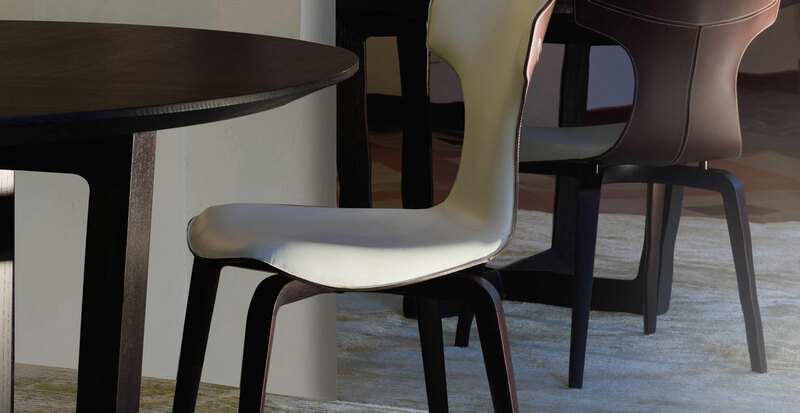 The backrest is smaller, maintaining its characteristic curved shape. The same materials and finishes are used throughout the collection: Pelle Frau® leather and Cuoio Saddle Extra leather stitched together with a clean cut edge, complement each other perfectly. The frame is composed of curved and moulded beech plywood with polyurethane foam padding. Legs are in wenge-coloured solid ash wood and sports the new Moka finish. 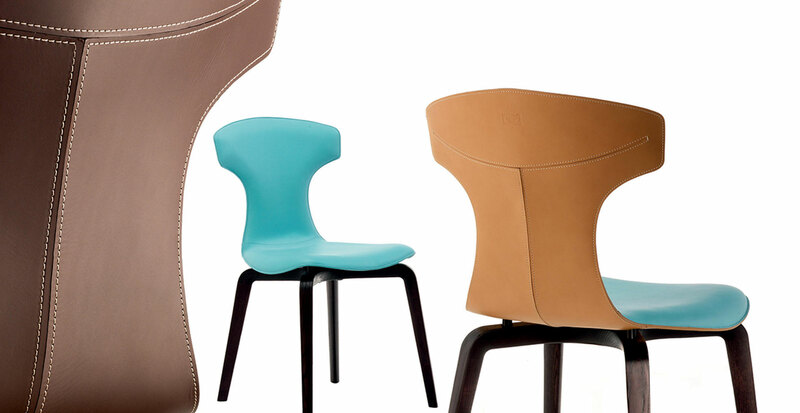 A version entirely upholstered in Pelle Frau® leather is also available. The seat comes in a new stackable version with base comprising four steel legs in the evocative blasted and burnished finish, which gives the metal renewed warmth. 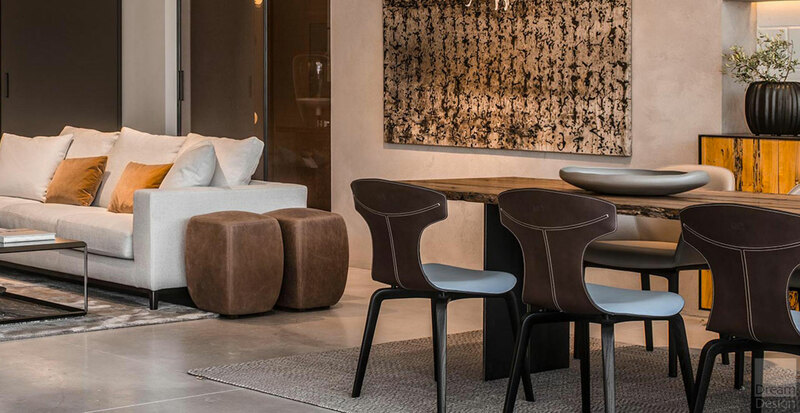 The seats can now be stacked thanks to their reduced dimensions and the more tapered shape of the legs, as well as the plastic insert upholstered with Pelle Frau® leather which prevents direct contact between the steel of the base and the leather shell. The frame is composed of curved and moulded beech plywood with polyurethane foam padding. Upholstery is in Pelle Frau® leather from the Color System. It is also available in a two-color version.